MCD Elegancia+, more affectionately known as "Ellie", was a AAOBPPH US National Laureada Pleasure Mare. 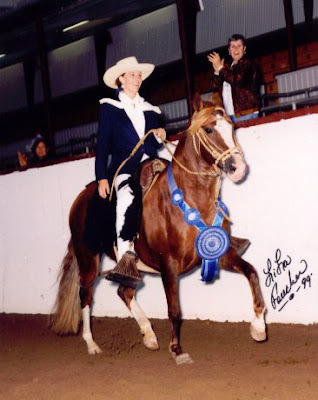 Ellie was Champion of Champions Pleasure Mare in 1997, 1998, 1999, and also won the prestigious Harry Bennet Award those same 3 years in a row. Ellie was a multiple regional Champion of Champions in the Performance and Breeding divisions. She has also carried several juniors to High Point Junior at the regional and national level. 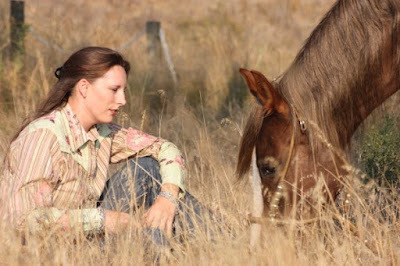 Her first son, MCD Guapo, is a Champion of Champions Performance & Luxury Gelding award winner at the regional level, and a multiple national first place winner. Her son KLP Elegido, from MCD Coronado+ has been very successfully shown in Geldings Bozal in 2012.